Dharamshala: China has closed off Tibet to foreign tourists, according to the state controlled media 'Xinhua', two days before the 52nd anniversary of the Tibetan national uprising in the Himalayan region. In recent months, hundreds of police and armed Chinese military personnel were also deployed to Tibet's capital of Lhasa and other major cities and towns in Tibet. The closure was "mainly due to the current cold winter weather, limited accommodation capacity and safety concerns," the official Xinhua news agency quoted Zhang Qingli, the regional secretary for the ruling Communist Party, as claiming on Monday. Zhang claimed the suspension was also due to "lots of religious activities" which were planned and said the region was preparing for a "grand ceremony commemorating the 60th anniversary of the peaceful liberation of Tibet". Thursday is the 52nd anniversary of a Tibetan uprising against Chinese rule on March 10, 1959. The anniversary protest on March 10, 2008 in Lhasa, the capital of Tibet, escalated into mass protest that left over a hundred people dead after China's deadly military crackdowns on peaceful Tibetan protesters, according to the Tibetan government-in-exile. 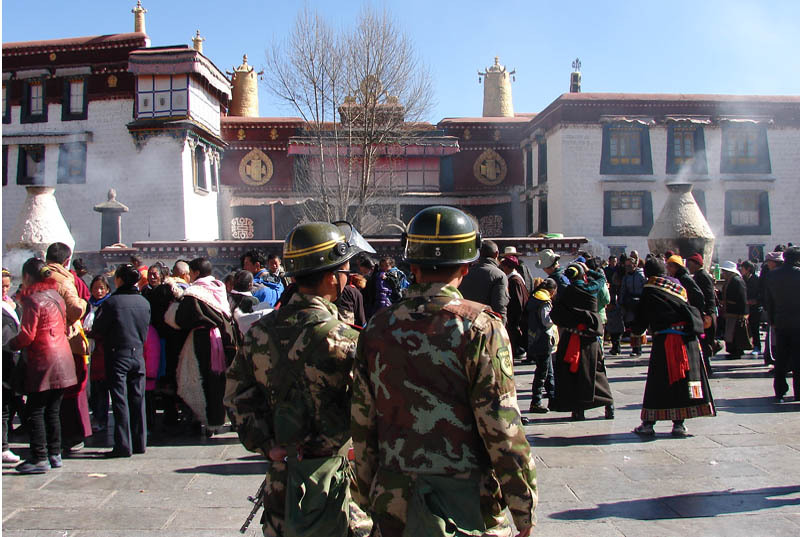 Ahead of the anniversary, China has increased the deployment of military forces in Lhasa city, particularly in the Barkhor Square of the ancient Jokhang temple of Tibet, where hugely armed military forces are usually deployed. China closed all tours to Tibet following the 2008 rioting and has suspended foreign tours at least twice since then. Foreign tourists need a special permit in addition to a Chinese visa and they must register with a travel agency, while the region has always been closed to foreign journalists except for government-run tours. Thursday is also the third anniversary of mass Tibetan peaceful demonstrations in all parts of Tibet. Some travel agencies have told AFP that overseas visitors won't be allowed into the heavily restricted region until April. Foreign tourists were banned from traveling to the Himalayan region for more than a year after the peaceful demonstrations in March 2008, which left more than 220 dead and thousands of others missing, imprisoned and sentenced after deadly crackdowns by the Chinese armed forces. Human rights groups have accused Chinese authorities of killing anti-government protesters during the brutal crackdown. The communist regime however has denied that violence was used on the Tibetan population during the failed uprising.